Arjen Robben’s new contract was one of the major talking points in the Bavarian capital this week. There is no doubt that both FC Bayern München, and the prolific Dutch winger want to renew their association—Robben’s contract expires next summer. Bayern München recently has agreed to renew the contract with club legend Frank Ribéry until 2018, and the 33-year-old Frenchman told the press afterwards that Munich has, in the last ten years, become his new home. Bayern are interested in giving Arjen Robben a similar deal, but the 32-year-old winger has been reluctant to sign a one-year deal, and would rather extend his contract for two seasons. Hans Robben, Arjen Robben’s father and agent, has told the German magazine kicker that the two parties are still negotiating, and indirectly confirmed that one of the major hitches in the negotiations, so-far, has been the length of the new contract when he stated, “We are still negotiating the length of the contract.” Robben Sr. admits that one of the major reasons, why Bayern are reluctant to sign the Dutch star to a longer contract, is the fact that Robben has a long history of injuries. Perhaps Robben’s biggest weakness has been his inability to stay fit for long stretches of time. Last season, for example, Robben missed 16 games due to injury, and he has already missed eight games for the same reason this season. Transfermarkt.de, which tracks the injury history of every player in the database, has an injury history that is three pages long for Arjen Robben. Robben’s history of injuries aside, Bayern have always been reluctant to give players over the age of 30 a deal that extends beyond one season. In 2009, Zé Roberto, at 35 years of age, was offered a one year deal, which he refused. He then became a free-agent, and signed a two year deal with Hamburger SV instead. Miroslav Klose was also offered a one-year contract in 2011, with an automatic extension should Klose reach 20 games, but the forward refused and moved to the Rome based club, Lazio, instead. 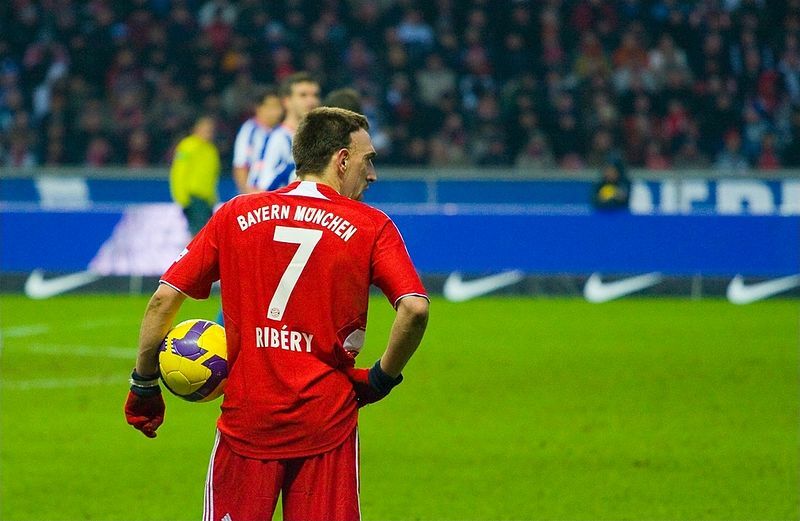 Aside from Ribéry, there are other precedents of players who were happy to sign a one-year contract with the club—Mark van Bommel, in 2010 and Daniel van Buyten, in 2013, for example, were both willing to extend their contracts for one season. The same is expected to be true for Xabi Alonso who, despite having noticeable problems with the pace in the Bundesliga, is likely to be offered a new one-year contract. There is some truth to that statement, as Robben has recorded three goals, and two assists in seven Bundesliga games. Robben has, in fact, scored a Bundesliga goal every 135 minutes this season. Bayern also appear more dangerous with the Dutchman in the line-up than without him, especially as both Kingsley Coman, and Douglas Costa, who had a great start to the 2015-16 season, but then disappointed a bit in the spring of 2016, have not yet shown that they can consistently replace Robben. The problem, of course, is that his playing time has been once again significantly reduced by injuries and, with Robben turning 33 next season, it is questionable whether he can sustain the pace of the Bundesliga on a weekly basis. Robben is understood to earn €10 million a season at the club and, with five Bayern squad players over the age of 30—Philipp Lahm, Alonso, Arjen Robben, Ribéry, and Rafinha—Bayern will have to free up resources to rebuild the squad medium term. In fact, Bayern’s recent form has been a major talking point at the World Football Index Gegenpressing – Bundesliga Podcast, and both Chris Williams and myself pointed out the fact that age could be a major factor in Bayern’s problems this season. With an average age of 26.9 Bayern do not appear very old but, in a league that puts a strong emphasis on youth development, Bayern are actually the second oldest squad behind FC Augsburg (27.0) this season. In fact, league leaders RB Leipzig have the youngest team in the league with an average age of 23.9. This is not to say that Bayern have no young talented players in their midst. 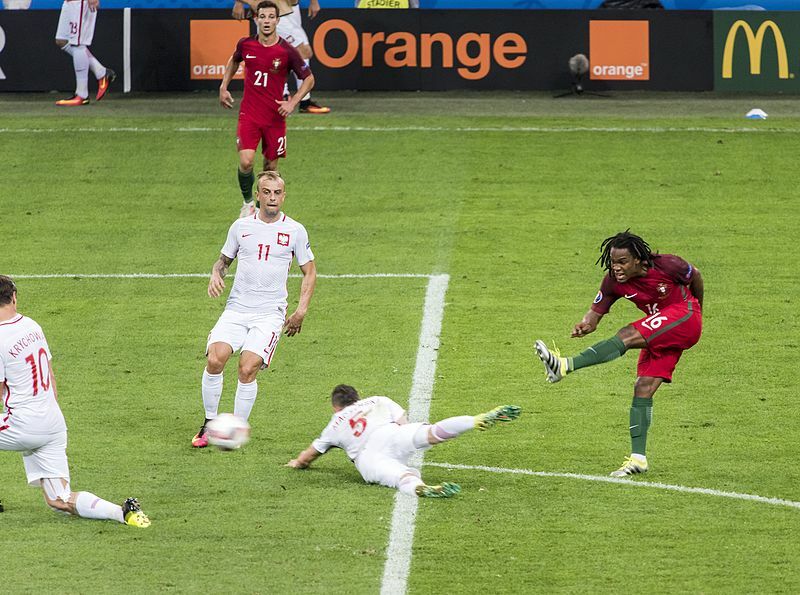 In fact the 19-year-old Renato Sanches, and the 21-year-old Joshua Kimmich both were standout players this summer during the European Championships. But while Kimmich has already established himself in the first squad, Renato Sanches is still struggling somewhat with life in Germany. Of course it will take time for the likes of Douglas Costa, Coman, Sanches, and Kimmich to make their mark in Bayern’s first squad. But time is something that is in short supply at a club that used to be called FC Hollywood, and it will, therefore, be up to the old guard to carry the torch a little longer. This, however, brings us to the problem of Arjen Robben and the difficulties over his contract extension. Bayern need Robben next season to help with the transition to the younger players, who are already in the squad, and potential with new signings that could be made next summer. But, given Robben’s history of injuries, it is understandable that Bayern are reluctant to sign a two-year contract with the Dutchman. In fact, the word from Munich is that Bayern are more than willing to see the contract expire by the end of the season rather than take the risk of extending the contract by two years, which would lock up much needed resources that could be used to bring in a young and dynamic player embodys the qualities that are necessary to win games in German football.